These SFP+ modules for our new SFP+ CCR models offers 10G speeds at a very affordable price. 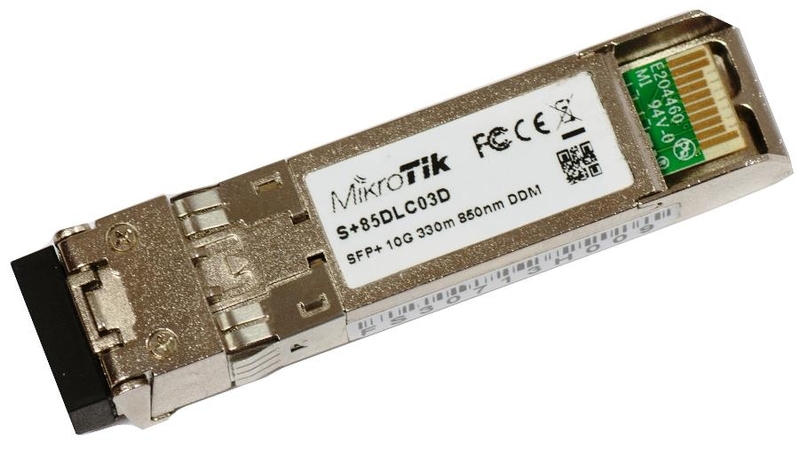 SFP+ S+85DLC03D module is 10Gbit 300m 850nm dual multimode, with dual LC-connector, DDMI. Units are tested and compatible with CCR1036-8G-2S+ and CCR1036-8G-2S+EM. Units are compatible with non-MikroTik SFP+ devices as well.